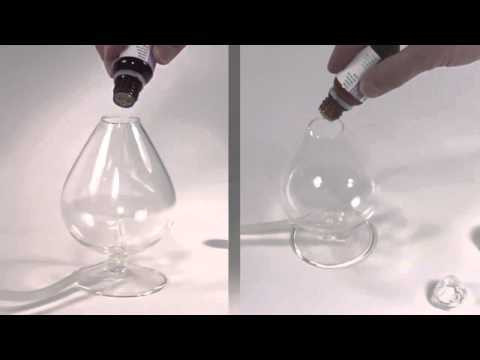 Tsylia is a nebulisation diffuser. Your essential oils are diffused cold. In this way, all the benefits of your oils are preserved. This diffuser is an excellent decorative object thanks to its unique and uncluttered design. Its remote pump, equipped with a long tube, lets you position your diffuser wherever you want. Thanks to its nebulisation technology, the micro-droplets are distributed across a room of up to 60m² for several hours. The diffuser has two diffusion settings to adapt its use to the size of the room as you desire. 1 transparent flexible plastic tube of about 180 cm. In the box, you will find the hose, diffuser, pump, cap and nebuliser. When first installing, place the clear hose in the pump. To facilitate insertion, you can place it for a few minutes in warm water to soften it. Take into account the difficulty of inserting the tube for sealing reasons and to prevent air leakage. For improved use and service life, avoid putting the transparent hose in contact with other objects that may crush, pinch or cut it. Position the pump and the glass container. Pour in a few drops of essential oil (5 to 10 drops) and leave to diffuse for just a few minutes to avoid overly high concentrations. A diffusion of 10 to 15 minutes is sufficient to perfume a room of 60m².